As students across the country head back to the classroom, how can we ensure that they can get there- and back home- safely? 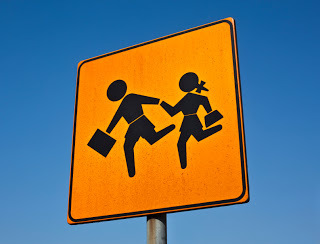 Active transportation such as bicycling and walking to school is increasing but is safety? Learn about the challenges to school safety and why traffic calming solutions such as flashing beacons, radar signs,and speed cushions may be the crucial first step every city should consider before education, encouragement, or enforcement can be effective. Read our August Traffic Calmer and help your school have a safer year. What you read may just help save a life. PreviousPrevious post:What in your car is most likely to save your life?NextNext post:On busy streets shared by stores, cafes, and residences, how can people be kept safe?